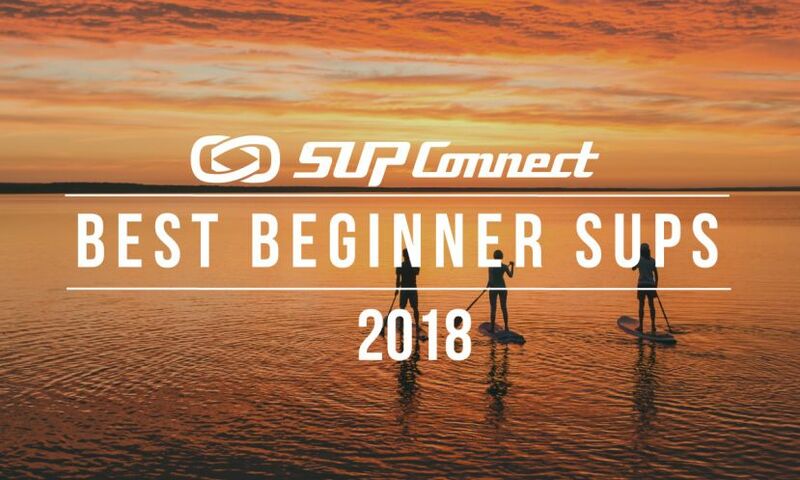 Tipping Point, When is Your SUP Too Small? SAN DIEGO, California - Anyone who's ever seen Sean Poynter, Mo Freitas or Kai Lenny absolutely ripping on a stand up surfboard has no doubt wanted to achieve that same level of performance themselves. Unfortunately, it's nowhere near as easy as they make it look. As the sport of standup paddle surfing has progressed, we have seen the size of boards come down from the 11 foot range into the sub 7 foot range in the quest for more surfing performance. It's to the point now where the boards that the pros are using are mistaken for normal lay down surfboards. Let’s talk about the journey to get there; Smaller boards have evolved because eliminating the bulk in the board allows the rider to maneuver more aggressively in critical parts of the wave. The big boards are great for nose riding and ripple gliding but they are slower through transitions and don’t have the ability to generate speed or fit in tight parts of the wave like a shorter board. But, like all good things, there’s a balancing equation for your improvement. TOO BIG = SLOW AND SLUGGISH on a wave but great everywhere else, except transport. TOO SMALL = WET AND WOBBLY with frustration and maybe a few flashes of brilliance. JUST RIGHT = EXCITING AND GLIDING catching waves, having fun and falling a bit. We've all seen (or actually been) someone struggling on a board that they’re not comfortable with. It's not a good look and certainly not fun if you are the person doing it. Falling in the water on a regular basis, not being able to catch a wave is lame and embarrassing. It might be however, temporarily necessary to graduate down to a smaller board and become comfortable with it. So, where’s the line? What can you do to get comfortable on a smaller board and improve your surfing performance without making a frustrated fool out of yourself? You may be asking, "How am I qualified to give advice on the subject?" Fair question… I have been on this journey myself. I’ve been lucky to try well over 100 different boards. I have experienced both success and failure and I'm happy to share my notes along the way. Be aware of your equipment and the dimensions of it. | Photo: (left) Mike Poole, (right) Sylvia Soltyk. The first thing I suggest is know thyself and thy board. If you’re going to use others as a yardstick to measure for your own floating sweet spot, be aware of their height and weight and ability in comparison to your own. Also, be aware of their board dimensions. Most importantly length, width and thickness, as well as rocker, bottom contour and thickness or lack thereof in the rails. The width of the nose and tail… Wider equals more stability. The rocker of the board eg. the flatter the overall bottom curve nose to tail the more stable. The contour of the bottom rail to rail: Concave is more stable than vee which makes the board a little less stable. The thickness of the rails: The thinner they are the easier the board is to surf and the harder it is to balance on. A good compromise between all of these things to balance paddling stability with surfing maneuverability. Also, be aware of the conditions you usually surf in. How smooth is it most of the time when you're out there? How much distance do you need to cover to catch waves and paddle back out. How hard are those waves to catch and how likely are you to get caught inside when you're trying to catch one or get back out? That will dictate how much floatation you need to balance on and paddle adequately to achieve fun quotient to call it a success. However, the most important aspect is YOU and what you're used to. Trying to jump ahead too far in your progression by taking 20L or 30L off a board that already feels a little bit uncomfortable for you is a recipe for frustration. Perspective is a beautiful thing and it's important to keep in mind that you're doing this for YOU so you want to continue to have fun otherwise you're likely to quit before reaching your goals. So what are the recommended steps to reaching your desired goal(s)? Be honest with yourself and your ability. Take a good look at the board you’re on now. Are you comfortable on it? Can you balance on it, catch the waves you want and get back out without falling off repeatedly? Start on a glassy day with small waves that are breaking evenly in the same spot if possible. This will increase your chances of successfully balancing and catching a few waves easily. If the board feels impossible to stand on that's a sure clue you've made too dramatic a jump down in size. You can try catching a wave on your stomach and then gliding out of it and remaining paddling to get the feel of balancing on the board. After you do this a few times you may start to get comfortable. Don't insist on your feet remaining perfectly parallel. Find a stance that is somewhere in between that and your surf stance that is comfortable and balance that way. Be very aware of the balance point of the board especially nose to tail. Is it gliding a little bit with every stroke? If you can’t achieve that after a bit of practice you’re not going to have much fun. Don't look down… Look out at the horizon when you feel unsteady. That will help. If you're trying a standing start in the water, do it with a few paddles from your stomach or your knees and then jump up. It’s kind of like learning to ride a bike with a push from your dad. Don't panic if there's water on the deck of your board, just concentrate on getting good strokes in and use your paddle in the water to balance against. That tension keeps you much steadier than you are with nothing to balance against. Have you been on a board where it has been a bit too small? Share your experience with us! To hear more opinions on SUP check out our Opinion Column.